Cat Sinnamon Large is a maker and owner of Catupholstery. 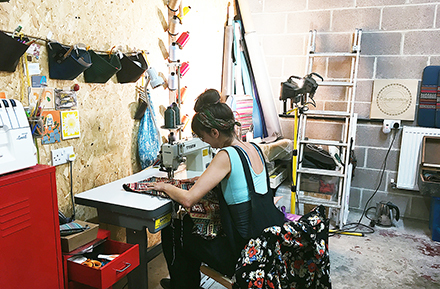 She creates bespoke upholstery for vehicles from her space in Freestone Studios. 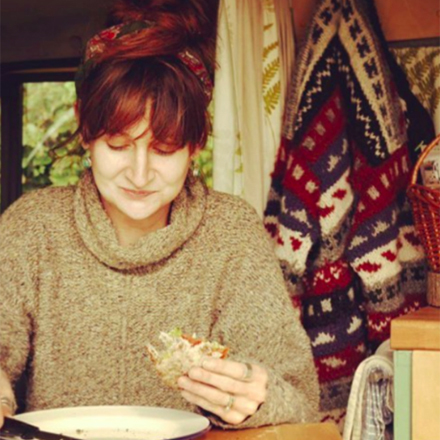 She took a leap of faith and set up her own business in 2017, inspired by her travels in a van as a newlywed. Her story is one that many of us can identify with! What is it that you love about Bristol? I moved to Bristol 13 years ago when I came to study Fashion Textiles at UWE. This city has such an incredible creative vibe and I whole heartedly felt like I fitted in. I returned to Bristol again some time after graduation, working as a primary school teacher for years and experienced a completely different side to things. Returning for a third time following my travels, I was yet again blown away by Bristol and the people within it. I love going to my allotment in St Werburgh’s, enjoying date night with my husband at Dela in Easton, going for a bike ride into the countryside, pottering on Gloucester road and popping to creative markets. Can you tell us the story of how your business started? 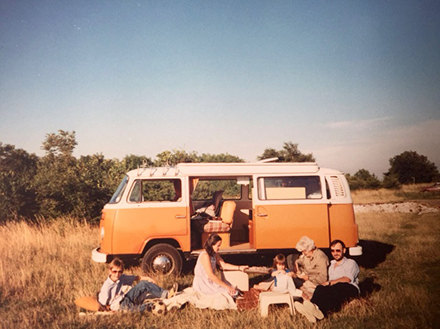 Every since I was born, my family and I would embark on memorable adventures in our trusty bright orange VW T2 lovingly named ‘Muv’. Memories of chugging along along twisty, windy lanes, day dreaming and getting lost in the clouds, wafts of bacon sarnies, being wrapped up in a snuggly blanket by some loving arms after splashing in the water or relentlessly running in the fields. Finally collapsing in a content, cosy heap on Muv’s cushions. 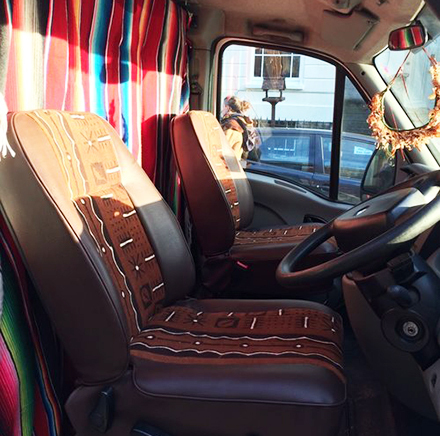 Over the years, I have been banging on about getting a van and reliving my treasured memories, as well as creating new ones. After I got married, my husband and I decided to embark on a project, we went on the hunt for a suitable van, a VW was out of our budget and we ended up purchasing a bright yellow jumbo transit. We named her ‘The Honeybee’. The conversion started and as we were delegating roles, I was fascinated by the seats in the van. I have a history of making so I decided to go on an auto upholstery course. 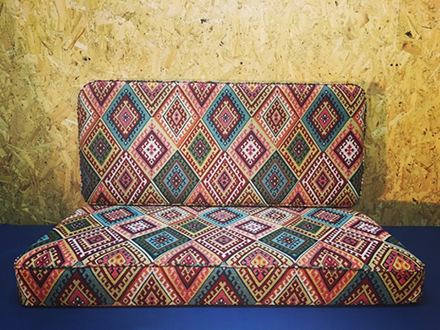 I absolutely loved it and with some supportive words from my teacher, my husband and friends, I took and a leap of faith and created ‘Catupholstery’. Yes, I aim to give each of my customers a personable, unique experience tailored for them and their needs specifically. I founded Catupholstery in order to provide this bespoke service. My goal is to always ensure that my customers’ style is met and their vehicle embodies their uniqueness. I absolutely love receiving a brief and working out what a customer wants. I then get to hunt for fabrics and designs that excite them, but also embody their personality as well as being practical. I am also a devoted, perfectionist when it comes to making. When I present my customer with their finished seats, rock and roll bed, door cards – whatever it is – that fills me with joy. And what is it like working from Freestone Studios? It’s been incredible to have a great sized studio that I can fit everything I need in. 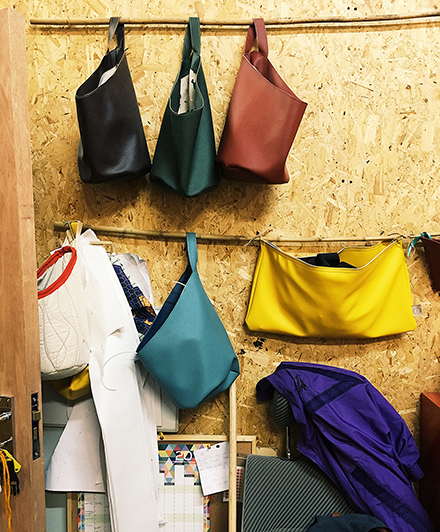 This studio space also provides heating, which is imperative when you are making things with your hands every day. It has also been an absolute pleasure to meet so many lovely, talented creative people. From sharing cups of tea to sharing ideas, supporting individual projects and collaborating, it is a wonderful community here at Freestone. I originally had a studio space in Lincoln Street Warehouse and moved over to Freestone Studios in March when the opportunity arose. 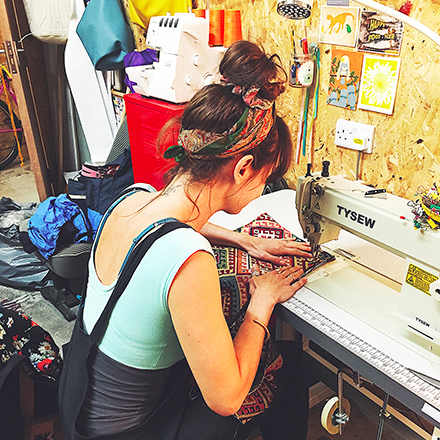 Get a good glimpse inside the world of Cat Sinnamon Large and see what she gets up to by following her on Instagram @catupholstery. 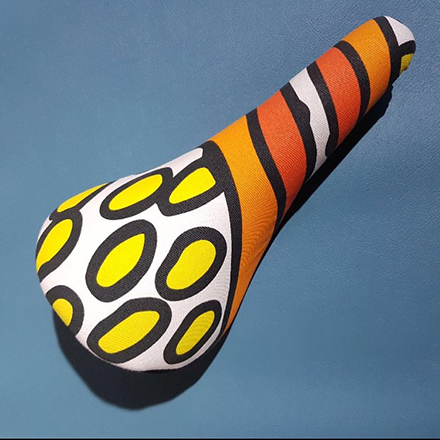 She’s also got a brilliant website where you can find out more about her bespoke work.